Hi everyone! 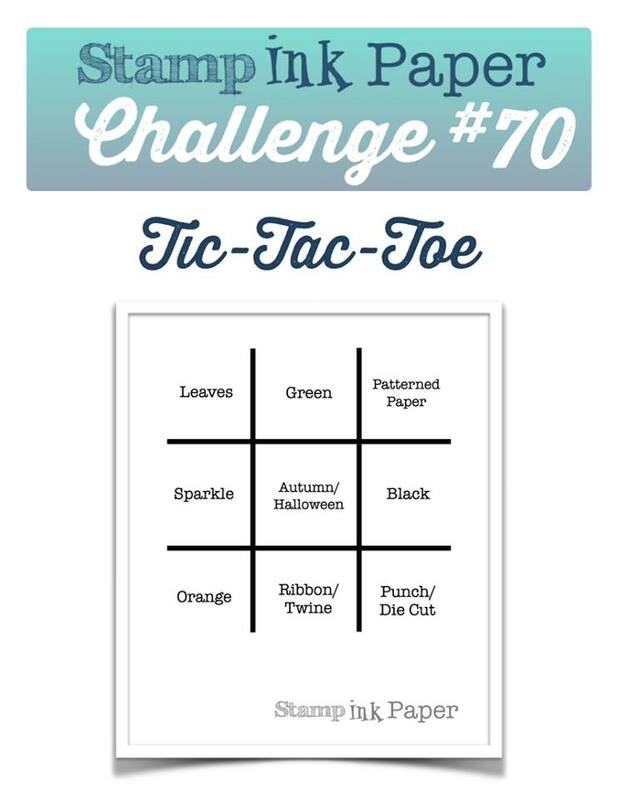 It's Tuesday and that means it's time for a new challenge at Stamp Ink Paper. 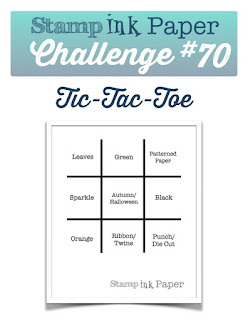 This week it's a tic-tac-toe challenge. I went down the column to the left: Leaves, Sparkle and Orange. I had orginally intended on making a Halloween card, but I had all those brand new products from the Mama Elephant show sitting on my desk untouched and I was busting to use them! 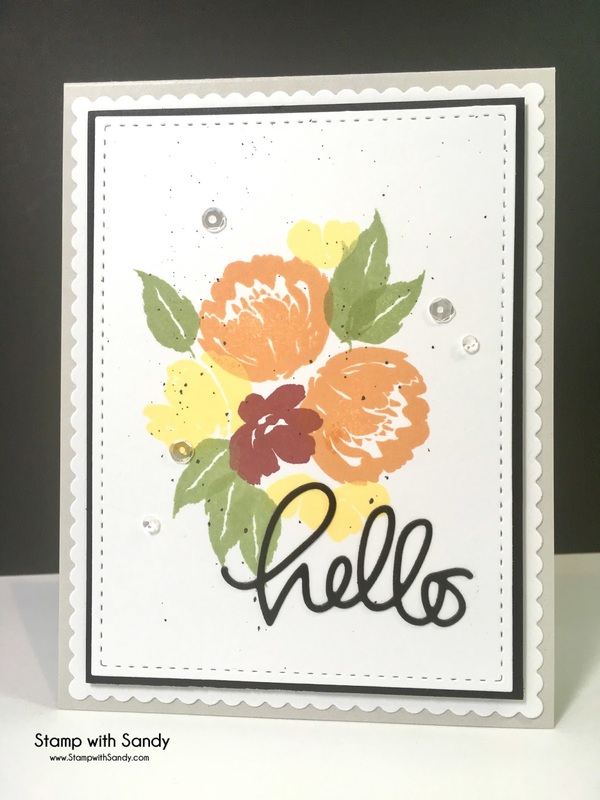 The set I chose to use was the Brushed Florals stamp set, and after one use I'm already in love with it. These solid images are so easy to layer up and will lend themselves to so many techniques. 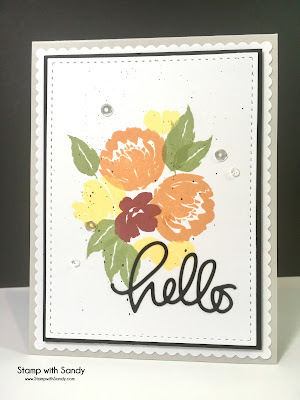 I am also playing with the debut challenge at The Flower Challenge, Anything Goes with Florals. Now there's a challenge right up my alley! I think they are going to see me frequently. I have sooo many floral stamps. HI Sandy! 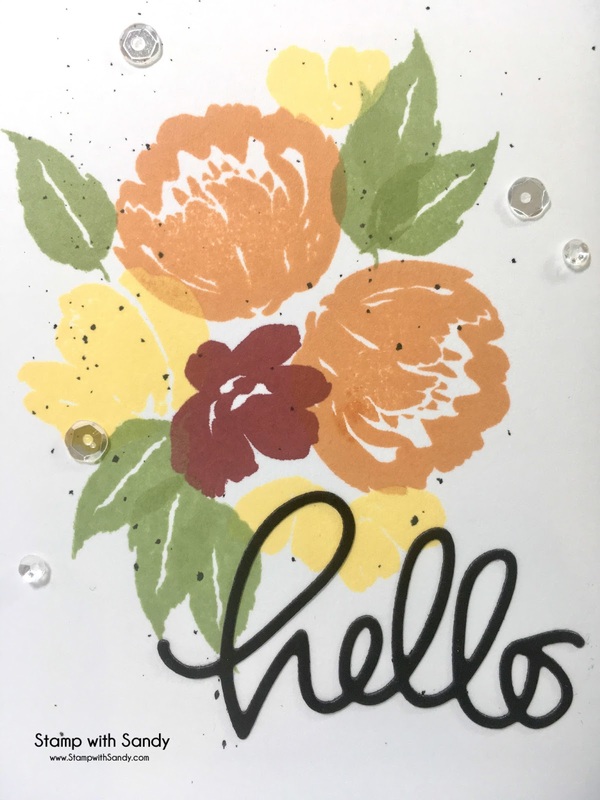 Love those bold flowers and the way you framed it in with a touch of black and splatters too! 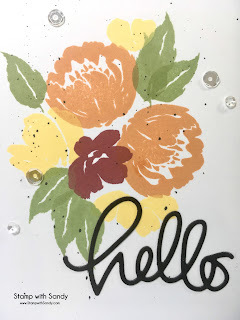 I am going to go check out Stamp Ink and Paper and perhaps play along! I love finding new to me challenge sites! Such a fantastic CAS design and love all the Autumnal colours you used. I can see why you couldn't wait to use them too! 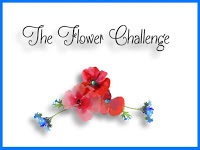 So very glad you joined us at The Flower Challenge!